Bernie Wild is a general preparedness writer, speaker, instructor, and consultant. He’s passionate about sharing his ideas and experiences with others. He enjoys hiking, photography, and spending time with family and friends. Bernie may be reached through AbsolutelyPrepared.com. 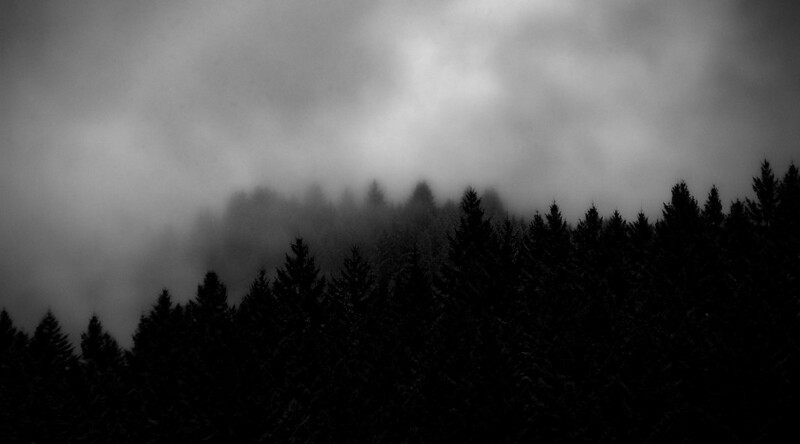 Imagine you’re lost or injured – perhaps 20 miles from the nearest forest road – deep in the wilderness under heavy cover. Your whistle isn’t getting any attention, and your signal mirror is doing nothing more than annoying birds in the forest canopy. 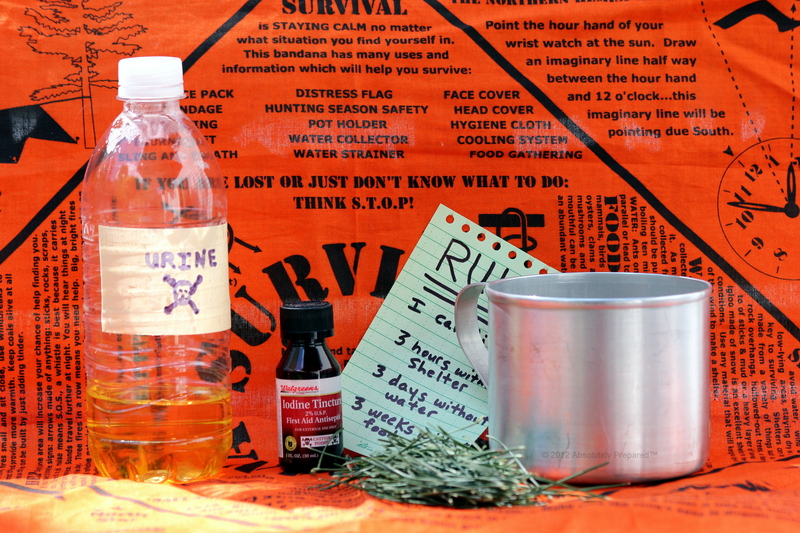 You have survival gear: fire starter, water treatment tablets, and other potentially life-saving items. You’ve discovered you’re completely alone and there’s no help on the way. What do you do? I’ve been in situations that have made survival equipment and a survival mindset necessary to get home safely. I’ve hiked far into the Southwestern desert and into a more serious predicament than I realized at the time. It was scorching hot and I was far from any water. I remained completely calm, partly due to the naivety of my youth. I didn’t realize the severity of my circumstances. A level head got me out of a serious situation. I’ve also been off-course in the woods (after a run-off by a momma bear) and had to gather myself to find a way out. Initially, I wasn’t as calm as I should have been, but I soon managed to control my thoughts. This taught me how easy it can be to become side-tracked and disoriented. Dismissing the encroaching anxiety and keeping my cool helped me find my way out to a forest road. Two of the most important survival points that I’ve been sharing with my students and others over the years are: 1) Leave an itinerary, a schedule, and a copy of your gear list with a couple of concerned friends or family members; and, 2) If you become lost, one of the first thing you should do is to bring your mind under control. If you’ve been lost, you’ve likely felt those anxious feelings that affect your body and mind. Controlling them is crucial. Fear is a normal response to actual or perceived danger. If ungoverned, it can worsen the situation. Without mental management, other survival efforts will be negatively compromised or impossible to perform. Remember, even if you’ve left your plans with others, you might need help on the first day of your 3-day trip. Your friends and family will not expect you back for a couple more days. So, help will not be dispatched until you’ve been gone more than 3 days. Therefore, it’s up to you to manage your situation. You’ll need to dismiss any potentially debilitating emotions that could hinder you from taking proper care of yourself. You must remain positive and focused. Fix your attention on providing for your needs. Do what’s needed to maintain your core temperature, and be sure to stay hydrated. Do whatever is necessary to provide for your health and safety right where you are (if it doesn’t require relocating – which is often discouraged but sometimes the right thing to do). Other survival techniques and strategies (shelter, signal fire,…) can be deployed as needed. Some have totally panicked after becoming lost. They let their anxiety get out of control causing them to run deeper into the wilderness or make other mistakes. As a result, some have become seriously or fatally injured. There are also some textbook or hobby survivalists who have plenty of surplus gear and know clever gimmicks, but have a false sense of security that lacks any practical experience. They’ve read plenty of survival forum posts, and watched the popular videos on constructing laborious shelters from wilderness debris and how to make nifty bow drills. But perhaps lack the mental prowess that comes from actual experience and realistic training. It’s a good idea to practice as many of your wilderness survival skills as possible, before they are actually needed. Learn realistic scenarios and develop the mental attitude and mindset to endure them. Avoid sensational survival instruction that isn’t based on real-life situations that you’re likely to encounter. Is it likely that you’ll need to sleep in the carcass of a dead animal, raid a beehive for honey, or repel down a waterfall? It’s more likely that hikers will become injured (from a fall) or lost. There’s good and sensible training available for such circumstances. You might be unable to adequately gain the proper experience for some things, without placing yourself in danger or breaking the law. But practicing the skills that are feasible (appropriate) will go a long way toward preparing yourself for a survival situation. It important to build a strong survival mindset. Survival can require more than equipment and education. Experience is a great teacher. Yes, it’s possible to survive a situation having never experienced it before, but it’s likely it had a lot to do with mental strength – a will to survive that conquers fear and circumstances. In essence, this is mental experience. Certainly physical preparation, or having what’s needed on hand, can help support mental confidence, but mental experience (strength) will be more important in certain circumstances than physical experience or equipment. When you’re out hiking, take time to rehearse your skills and mindset. Imagine you are completely lost and must survive with only those things that surround you. Decide how you will regulate your core body temperature. Consider what’s available for providing shelter. Where will your water come from? What will you (eventually) eat? This will provide mental experience that will give you the courage and peace of mind to focus on and perform the physical things that are needed to keep yourself alive. Develop a personal phrase (passage, mantra,…) and survival mindset that you will use to manage and focus your thoughts – thereby overcoming fear or other mental obstacles. If you ever become lost or stranded due to injury, this mindset will help you direct your thoughts into a positive survival strategy that could save your life. You don’t always know when you’ll be put to the test in the wilderness. Your level of mental preparedness may be all that you’ll have to go on. If you go or plan to go to the gym, here’s some helpful information to make sure you’re well-equipped. You may not want or need to carry all of the above. In fact, some people just take what they are wearing and their ID. This list is intended to serve a wide-range of needs for various types of gym goers. 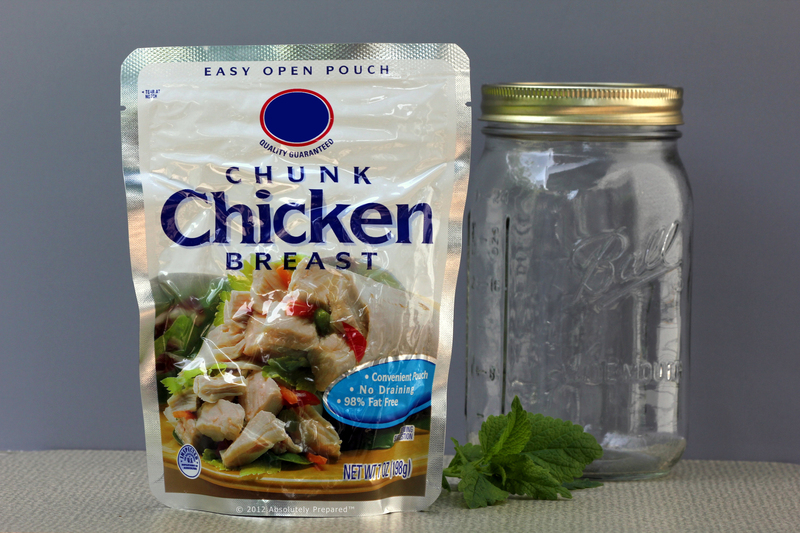 The following are some of the potential benefits for choosing ready-to-eat foil pouch chicken over home canned chicken. Foil packaged chicken is usually found in the canned meat (tuna) isle of major chain grocery stores. Consider secondary (additional) packaging to enhance the shelf life. In the event of a power outage, a smartphone or tablet PC will be easier to charge and power up than most laptop and desktop computers. It’s not a good idea to rely solely upon electronic devices for this information. Preferably, there are printed copies and memory recall available if needed. In comparison to larger computers, smartphones and tablets are lighter, smaller, easier to power/charge, discreet (covert), and more convenient overall. Again, it’s not a good idea to be completely dependent upon these devices. However, they can be very powerful tools in emergency situations. Here are some tips to that can help to keep you safe while shopping. Make sure that you have enough gas in your car, and an emergency road kit available for any road hazards you might encounter. Carry a cell phone with a fully-charged battery and have important numbers ready for speed dialing. It may be difficult to find an ideal parking place, but do the best you can. Choose a busy area to park, even if you don’t like the nearby store. Make sure the parking space is (will be) well-lit at night. Make note of where you’ve parked, so you don’t have to do any unnecessary wondering around when you’re finished shopping. There are smartphone apps available that can be used to mark your parking spot using GPS technology. Another method is to take photos of where you park using a camera phone. If you feel that you are being followed, or if you have good reason to be uncomfortable with someone, go to the store manager’s office or security station and explain your situation. Avoid counting your money publicly, and don’t openly flash it when making purchases. Keep your voice down when giving out any personal information to the cashier (e.g. phone number, street address…). Also, make sure that you’re not overheard while talking on the phone (e.g. “Bob’s out of town, so I’m home alone tonight…” or “I finally bought that diamond necklace.”). Hide expensive items well inside your shopping bag. If possible, avoid or hide bags that are too descriptive of their contents (e.g. electronic stores). If you must take items out to your car, discreetly put them in the trunk. Be sure valuable items cannot be seen by looking through your vehicle’s windows. Always be aware of your surroundings. Keep your head up and look around, even if you’re otherwise alert. You need to send a clear signal to others that you know what’s going on around you. 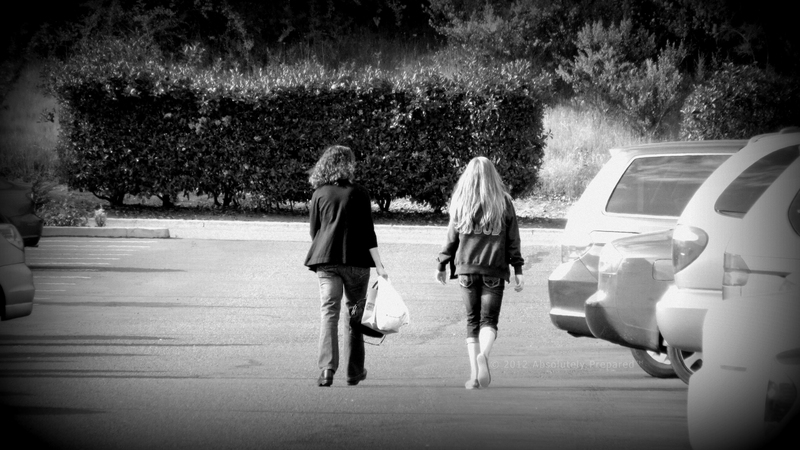 If you feel unsafe in anyway when you’re ready to leave the store, ask the store manager to have someone walk with you out to your vehicle. If this is not possible, call a friend, neighbor, or family member to come and get you. When walking to your car, remember to keep your head up and look around. If you have a car remote that activates your vehicle’s horn or has remote engine start, use it. It may make a would-be attacker think that someone is waiting for you in your car. As soon as you’ve opened your door, immediately lock the door then pull it closed! This way, all you have to do is pull your already-locked door closed if someone tries to grab you. If you are approached in a threatening manner, make all the noise you can, and do whatever it takes to make yourself safe. Many attackers are looking for a victim not a challenge. Fight back! If you have any reason to believe you are being followed while driving home, don’t go straight to your house. Instead, go to the nearest police station or a safe, public place where you can get help. Have a safe shopping trip! Survival is an increasingly popular subject on the net and television. Part of what it makes it such a hot topic has to do with the intense coverage of the calamities taking place around the world and the universally held desire to survive (live). Information abounds. There are thousands of websites (by the way, welcome to this one), forests of books, petabytes of shared videos, and perennial seasons of “reality” television shows that are all vying to fulfill your survival wants and needs. It can be quite laborious sifting through the abundance of information (or misinformation) to find practical advice and tips that are closely based on likely survival scenarios. Unfortunately, much of the survival information floating around is recycled from old military survival manuals, passed down (apparently unquestioned) from antiquated traditions, or even clever gimmicks (e.g. chocolate bar and soda can firestarter) that produce oohs and aahs from novice audiences, though unlikely to play a viable role in a real survival situation. A significant percentage of the troubles experienced in the wilderness involves getting lost or becoming injured. Many of the scenes depicted on television are not likely to occur (e.g. sleeping inside of a large animal carcase, climbing down a waterfall, or raiding a beehive). Likewise, most people who become lost or injured simply want to get home – not build an elaborate shelter or sip pine needle tea to stave off a feared (future) vitamin C deficiency. These people are not necessarily paramilitary gurus or practicing survivalists. They are soccer moms, birdwatchers, day hikers, mushroom pickers, and families driving over the hills and through the woods to grandmother’s house. 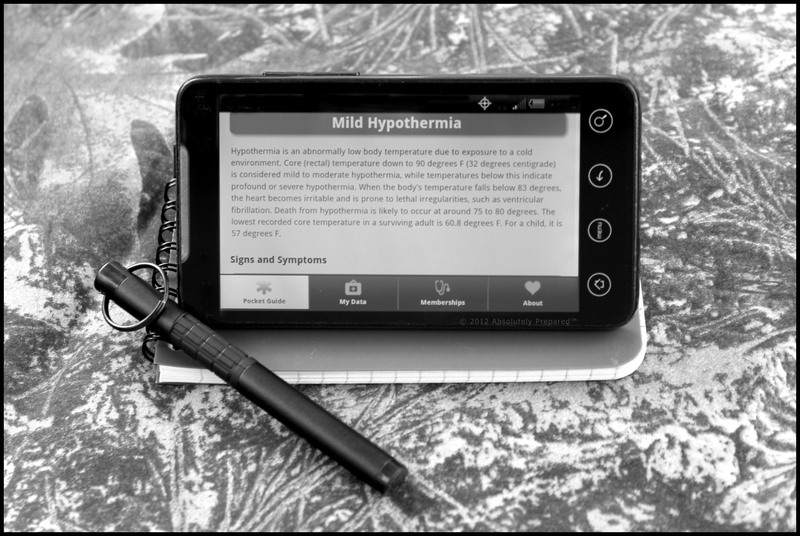 This article (planned series) will address some of the popular survival (mis)information that ranges from simple misunderstandings to dangerous mistakes. What follows is personal opinion and commentary regarding some of the survival teachings that are currently being taught that this instructor believes to warrant respectful confutation. The “Rule of 3s” is perhaps one of the most persistently-taught survival doctrines. The short version of this rule states that one can live 3 hours without shelter, 3 days without water, and 3 weeks without food. Be certain that there’s nothing magical or universally precise about the number 3 when it’s applied to survival. It’s simply a device that has been used to make some information easier to remember. There’s nothing wrong with that, except when the device/information is (often) inaccurate. This is much too serious of a topic to use such a teaching gimmick. This isn’t about memorization or passing an academic test – it’s about life and death. The teaching of the Rule of 3s is likely considered justified by believing that this rule is a good generalization, a probable average, or at least a way of presenting priorities. However, the Rule of 3s can be seriously misleading and quite dangerous. It’s just as easy to teach this information with more accuracy, especially when given the advanced opportunity to instruct students on how to be prepared. Why send people out thinking they can make it 3 days without water? What good does it do, other than conform to the good ol’ rule? It may be true that those sitting on the couch can go 3 days without water, but terribly wrong for those hiking in hot weather. It’s best to prepare for what could (and does) happen. An easy, realistic way to teach this this subject is to state that one can die in a matter of minutes without shelter, hours without water, and days without food. This is much more accurate than stating a specific number. Another popular survival teaching is “the more you know, the less you need to carry.” It places the emphasis on knowledge rather than gear. This teaching is a little more complicated to address without the possibility of being misunderstood or perhaps inadvertently mischaracterizing what some are teaching. Nonetheless, we proceed with care. There’s more to survival than knowledge. This teaching appears to be throwing the baby out with the bathwater. Having knowledge and lacking the items to exercise that knowledge can be just as futile as having items and not knowing how to use them – or having the know-how without access to what’s needed to exercise it. Survival situations are not always as neatly scripted as those on TV survival programs. There’s a chance that a debilitating personal injury may be involved, making it impossible to build a shelter or construct fire making tools. It may be personally fulfilling to use primitive tools and even rewarding to know how to make them as backup, but to be intentionally primitive minded when such things as lighters, survival blankets, and lightweight tarps exist could prove to be fatal. Imagine a hiker falling into a ravine and breaking both legs the first day of a remote 3 day backpacking trip, and being unable to build a shelter or collect firewood. Though the hiker has a substantial amount of primitive skills knowledge, it’s the items carried that will prove to be a lifesaver. The knowledge remains important, but having access to tangible items is also crucial. Don’t overlook one or emphasize one without the other. Certainly there are cases when just knowledge or just gear will be the most useful in a particular situation, but this is not an absolute to gamble with. Be prepared! Gear and knowing how to use it is essential. It’s smart to carry overnight gear (including all the essentials) even on a day hike. Many of the things that go wrong in the wilderness occur on day hikes. Let’s face it, you need to use the knowledge at the time things actually go wrong, and when they do it’s unlikely to be as cooperative of a setting as a survival workshop or as presented on television. Often the reason there’s a survival situation is due to debilitating injury. Remember the more that fire is needed, the harder it may be to obtain. When you’re freezing, it’s not time to be looking for sticks to rub together. How impractical would it be to search for materials to build a bow drill to light a cigarette for someone? Now think about how much more absurd it would be to rely upon rubbing sticks together when fire is needed to save life! People need to have the equipment (tangible and/or mental), experience (practice, wisdom), and education (know-how) to survive. It’s great to know how to treat a serious illness, but it’s better to have what it takes to protect one’s self from acquiring the illness in the first place. “An ounce of prevention is worth a pound of cure.” Have what you need to use in (or to avoid an) emergency, and if that fails, fall back on the knowledge of how to make what you need. This is about survival (life) not obtaining a merit badge for making a debris shelter. Consider how much energy it will deplete to construct a shelter when it’s needed the most. Think about all the spiders, snakes, scorpions, bees, and other pests and problems that can lurk in the wilderness debris being gathered. Don’t forget to factor in the water loss from all the effort. Learn all there is about primitive skills and improvising in the field. But don’t intentionally leave survival equipment behind. This is likely one of the easiest misguided survival teachings to rebut. While it’s understood that a healthy person’s urine is normally sterile, this doesn’t make it fit for hydration. The more dehydrated one is, the less useful one’s urine is for hydration. That is, the more it’s needed, the worse condition it’s in. Also, the more dehydrated the body is, the less urine it produces. It’s not advisable to rely on procuring water from cacti or solar stills. In many cases, these are not likely to produce enough drinking water to sustain life. A solar stills often require more bodily water expenditure than is gained from it. Make sure there’s always an adequate drinking water supply available. There’s more to come in this series. Stay connected for more in the near future. 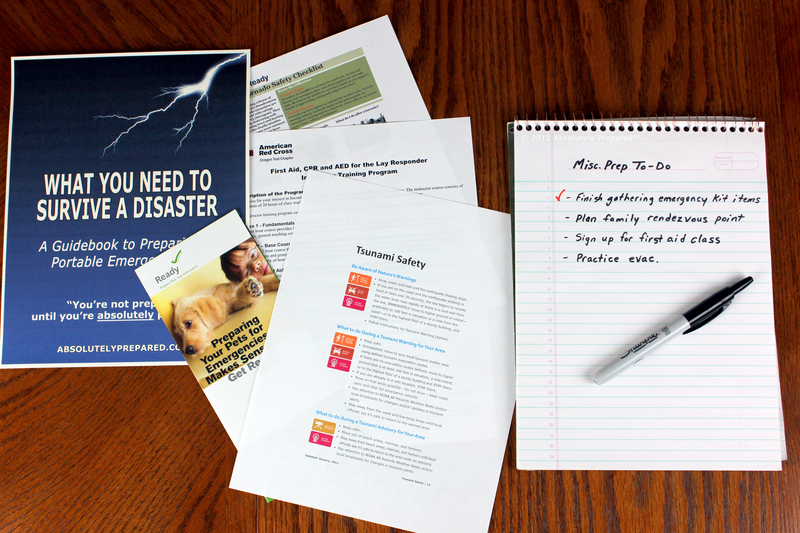 An easy way to approach emergency preparedness is to plan, prepare, and practice. The following is a basic overview of this preparedness construct with a few suggestion to get you started. As the saying goes “fail to plan, plan to fail.” Sit down and write out a plan, taking into consideration the types of disasters that could potentially happen in your area or circumstances. Make note of the type of supplies and sustenance you’ll need to have on hand. What type of training will you need? Discuss and list evacuation routes and family rendezvous points. 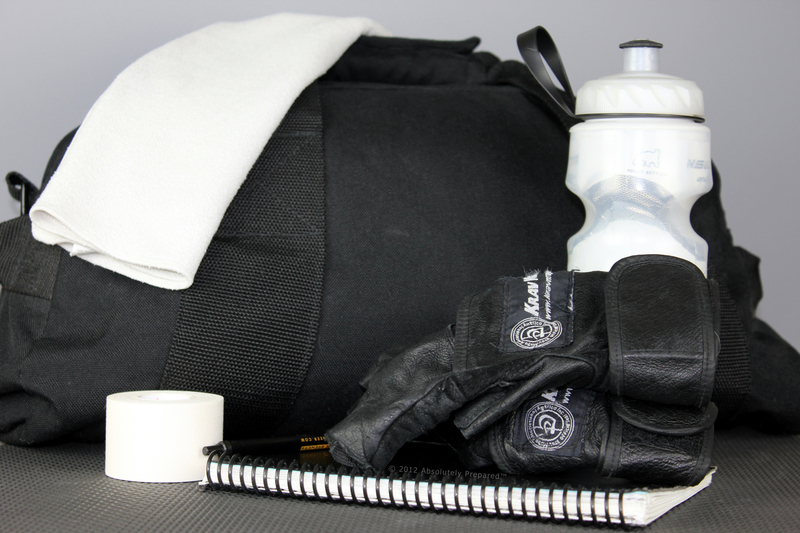 PREPARE – Prepare a kit and develop skills based upon what could go wrong. Gather all the emergency supplies, food, and water that you’ll need for you and your loved ones. Attend classes (as listed in your plan). Learn how to shut off gas and electric for your home, and familiarize be sure that all household members know how to use a fire extinguisher and other safety and personal protection equipment. Test all of the gear in your emergency kit, as appropriate and feasible. For example, practice using emergency communications devices and setting up an emergency shelter.. Conduct periodic emergency drills or evacuations. One of the main principles or concepts of emergency preparedness is to be ready (pre-pared) before disaster strikes. For whatever excuse or reason, many people put off doing what they know they should do. Perhaps they believe they’re too busy to prepare. However, when something terrible happens, they’ll wish they had taken the time – perhaps more than they’ve ever wished for something before. All other activities or tasks that we have to do are dependent upon us being alive to do them.